Experience quality healing at affordable prices! Welcome to CHIROSMART! Our 3,000 square-foot, state-of-the-art facility is equipped to provide our patients with the very best in natural health care. With a friendly and upbeat staff, you’ll quickly know that you’ve come to the right place to get on the healing path. As chiropractors in Bloomington, IL, we want all of our patients to feel immediately at home when they walk in the door. Since chiropractic care involves a series of visits, with each one building on the ones before, it’s important for you to feel comfortable right from the start. Please allow 30-45 minutes for this appointment. We will verify and submit to all insurance plans. Upon entering our office our receptionist will welcome you as a member of our family. We will request that you complete our patient forms located above. This paperwork provides us with your health history and information on your condition. After the consultation with your Bloomington Chiropractor, Dr Joe Snell here at CHIROSMART will perform a complete chiropractic examination testing your reflexes and flexibility. Other standard neurological orthopedic, postural, and physical tests will be performed as well. However, nothing will be done in our office without your consent. Depending on your specific condition, we may take X-rays as well. X-rays help us develop the most effective treatment plan for you, and alert us of any serious spinal conditions. 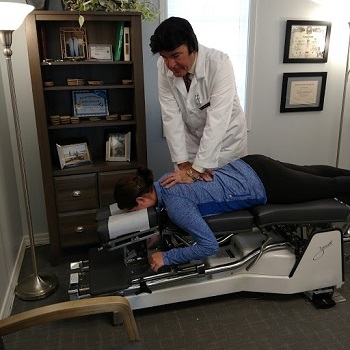 Most people are amazed once they see their misalignments and degeneration themselves. At the conclusion of this initial appointment, you can choose to experience your first treatment. This may include spinal adjustments, and/or Physiotherapy. Treatment is interactive so you can express concerns about the different styles of treatment anytime. If you’d like to get out of pain and experience better health, naturally, contact us today to book an appointment!